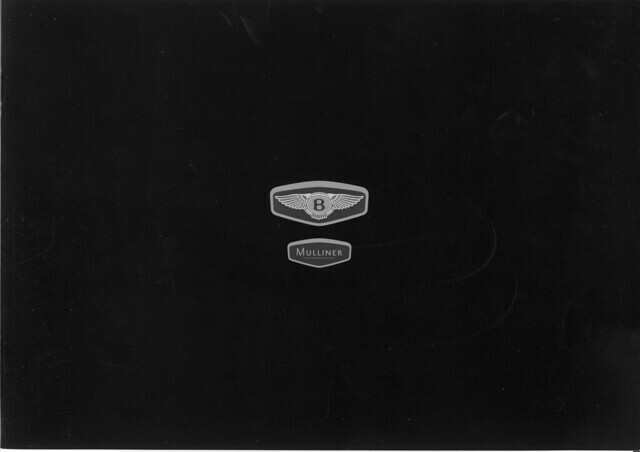 Mulliner. 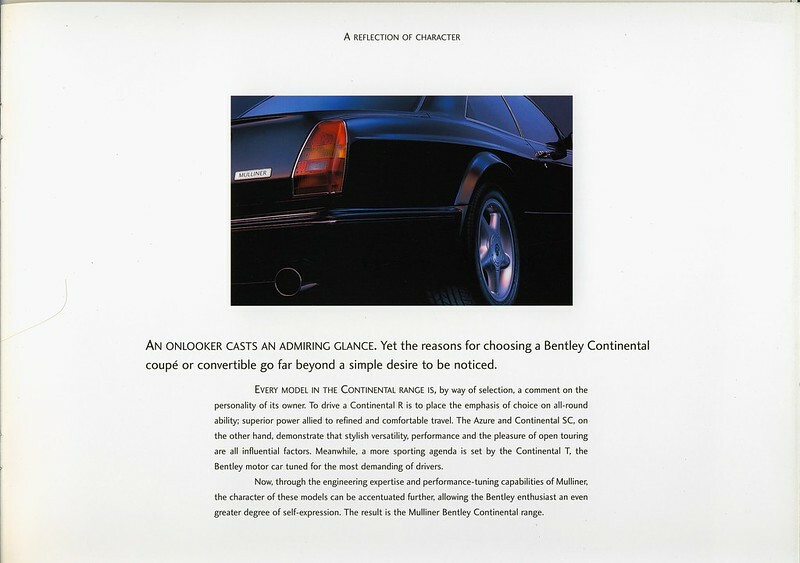 "A Reflection of Character..."
- One of 76 examples built "
"The Bentley Azure was the convertible version of the Continental produced between 1995 and 2003. 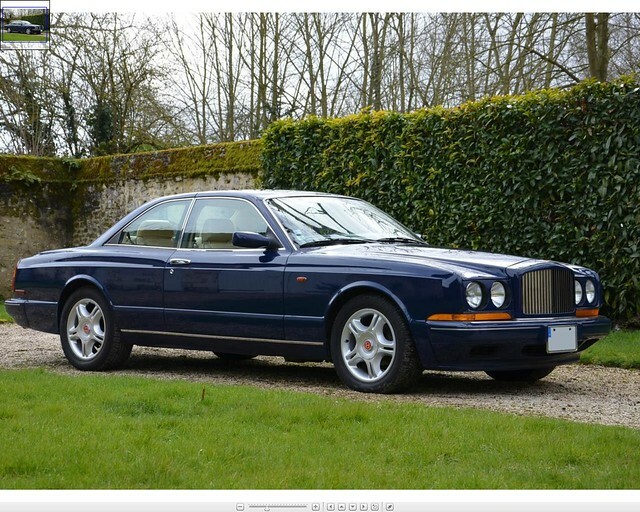 The car on offer is a very rare Mulliner version, one of just 76 examples built and the final version of the highly desirable British automobile which sold new in 2003 for €360,285. 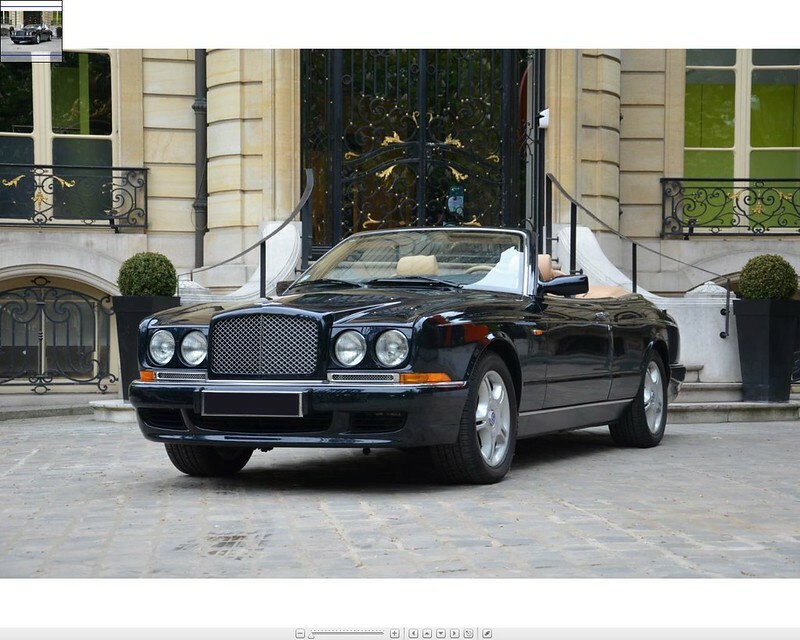 This exmple sold new in Monaco and was bought by the current owner at an auction held there by Maître Escaut-Marquet. We went to find this superb motorcar and drive it back to Paris via Limoges. Over this enjoyable journey, with the hood down in the spring sunshine, we had the perfect opportunity to observe the smooth running of the engine. The V8 with Garrett turbocharger provides an awesome acceleration that propels the car from 0 to 100km/h in 6.5 seconds. The engine produces 385 bhp at 4,000 rpm which is rather impressive...The car boasts a wonderful tan leather interior and the two-tone marine blue and tan dashboard adds to its elegance. 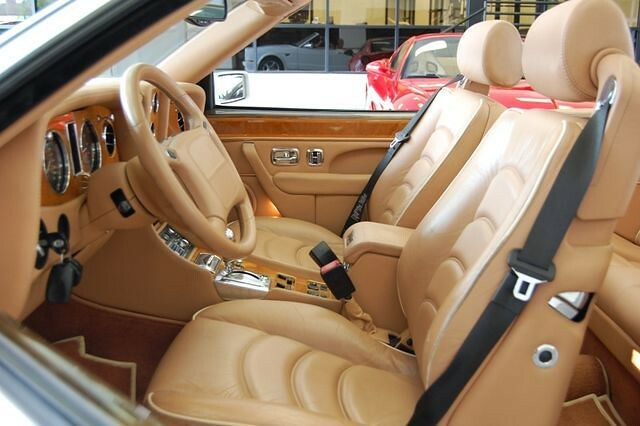 It is fitted with all the equipment expected of a luxury car of this standing, including a hands-free telephone system. 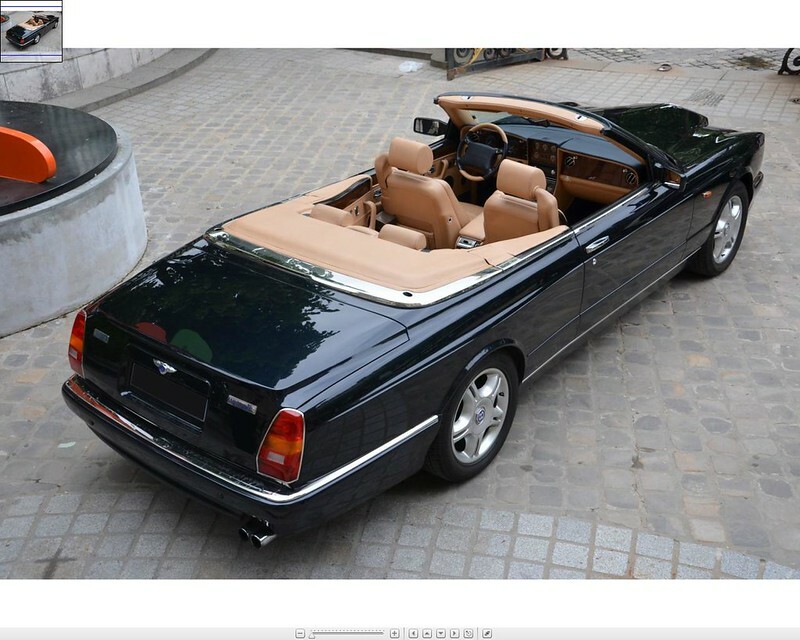 The last work carried out was by Bentley Monaco in June 2010 for a total of €6,834, when the car had covered 45,000km. It has 49,000km on the clock today. 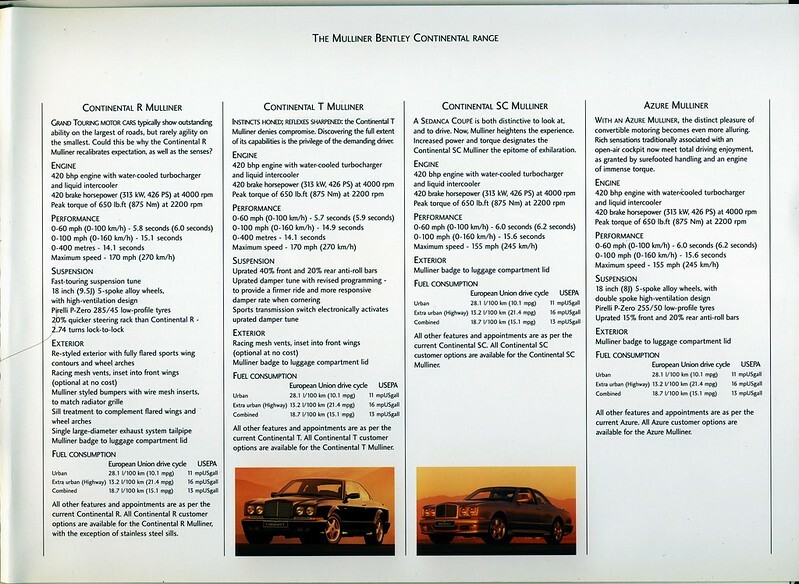 Here is a fantastic opportunity to buy a rare automobile that is technically advanced and offers a timeless elegance." Now, although this one is not a Mulliner car, it's worth a mention to show just how timeless this design is. This car (nine years older than the Mulliner) is sporting a set of more modern alloys. It is beautiful.